Dr E. Shyam Reddy , Dr Veena Rao and their colleagues are involved in a war against cancer which includes Prostate cancer, Ewing Sarcoma (Pediatric cancer), Breast cancer, Pancreatic cancer, Ovarian cancer, Leukemias and sarcomas. 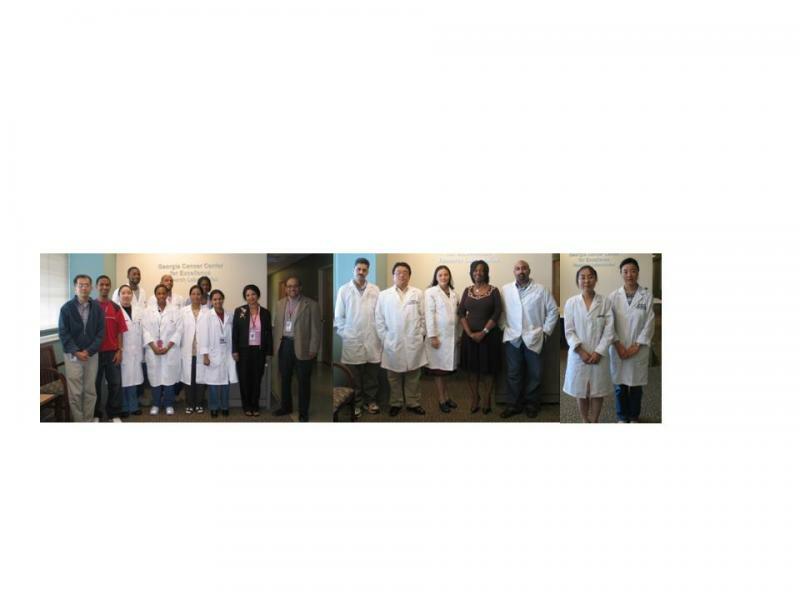 We are also targeting health disparity seen among minorities by developing novel targeted therapeutic agents. We always worked as a small group but managed to discover twenty genes that regulate cancer and studied their functions. (Please see the list of cancer genes discovered by us in Gene discovery section). Dr Reddy carriedout his Ph.D. work at the Center for Cellular and Molecular Biology, Hyderabad, India (Dr PM. Bhargava). Part of Ph.D. work was carriedout at Max Planck Institute for Biophysical Chemistry, Gottingen, West Germany (Prof. K.H. Scheit). His Ph.D. work was published as two papers in the prestigious Nature journal for which he was awarded National Young Scientist award by the Prime minister of India. Dr Reddy received First Margaret Memorial award, UK to carryout research at NIH. He obtained postdoctoral training in molecular biology at Yale University, CT (Dr Weissman's laboratory) (National Academy member). Later, Dr Reddy moved to NCI-Frederick cancer Facility to take his first independent scientist job, where he discovered novel genes, named ERG-1 and ERG-2 (Dr Reddy named them as ETS Related Gene ) (published in the prestigious Science and PNAS journals in collaboration with Late Dr Papas). This gene is involved in 40-80% of Prostate cancers and also in Ewing sarcoma (Children bone cancer) and leukemias. Dr Reddy group have shown that ERG gene products function as sequence specific DNA binding proteins and act as transcriptional activators. Dr Reddy then moved to Wistar Institute and Temple University (along with the cancer center director Dr Croce), Philadelphia as assistant and associate professor where they identified ELK-1 gene (published in prestigious Science journal in collaboration with Dr Rao and Dr Croce). Dr Reddy and Dr Rao named the gene as ELK-1 (standing for ETS Like Gene). ELK-1 plays a central role in Signal Transduction. Later, Dr Reddy joined Thomas Jefferson University (along with the rest of cancer center faculty, 1991 ) where his group discovered and identified the function of several cancer causing genes human Fli-1, EWSb, TLS/FUS, EWS-Fli-1, EWS-erg, TLS-erg, EWS-ATF-1 and tumor suppressor gene BRCA2a. In collaboration with Dr Rao, he also identified BRCA1a and BRCA1b (Patented). Dr Rao and Dr Reddy are the first investigators to show that BRCA1 proteins induce apoptosis (cell death program) and also first to show a regulatory aspect to BRCA1 nuclear ⁄ non-nuclear distribution. BRCA1 gene plays a central role in breast and ovarian cancers. Dr Reddy, Rao and his colleagues are also the first one to show Fli-1 and erg proteins (and it's abnormal fused proteins) inhibit cell death program (apoptosis). Dr Reddy joined Drexel university/ Hahnemann University (1996) as Professor and Director, Program of Cancer Genetics. 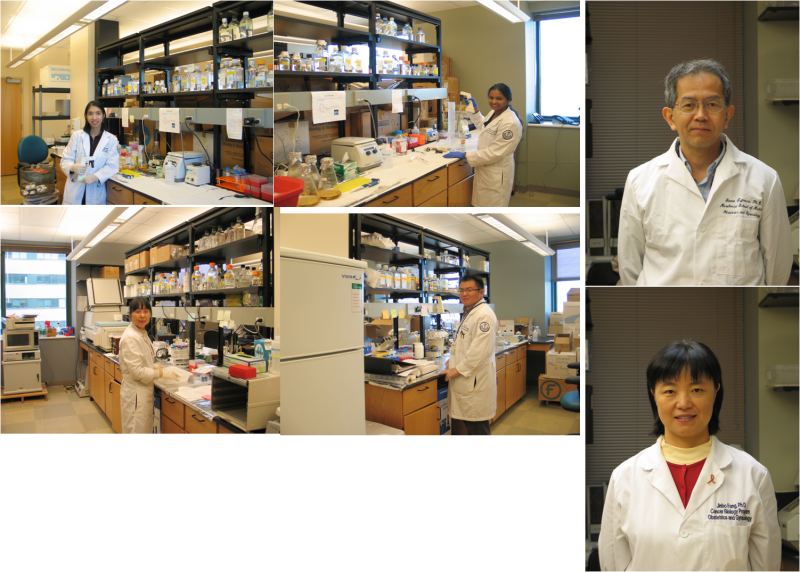 Here, Dr Reddy and his colleagues have shown that aberrant ERG and Fli-1 proteins (involved in several cancers inclding Ewing sarcoma, Prostate cancer and leukemias) are responsible for making cancer cells resistant to chemo-therapeutic agents. They also discovered BRCA2a involved in breast cancer. Because of chapter 11 status of Medical school, Dr Reddy decided to look for a different stable organization in 2002. Dr Reddy was appointed as a chairman of Pharmacy school at NDSU (2002). Because of personal family reasons, Dr Reddy decided to join Morehouse School of Medicine as Professor and Director, Cancer Biology Program (2002) (instead of chairman position at NDSU). Here, Dr Reddy and his colleagues developed novel cell based assay to detect erg/ets function and identified several novel anticancerous therapeutic agents. Some of these therapeutic agents target erg and other abnormal erg/Fli-1/ets protein function (patent pending). Dr Reddy is studying the mechanism of action of these novel therapeutic agents and also testing them at preclinical level. 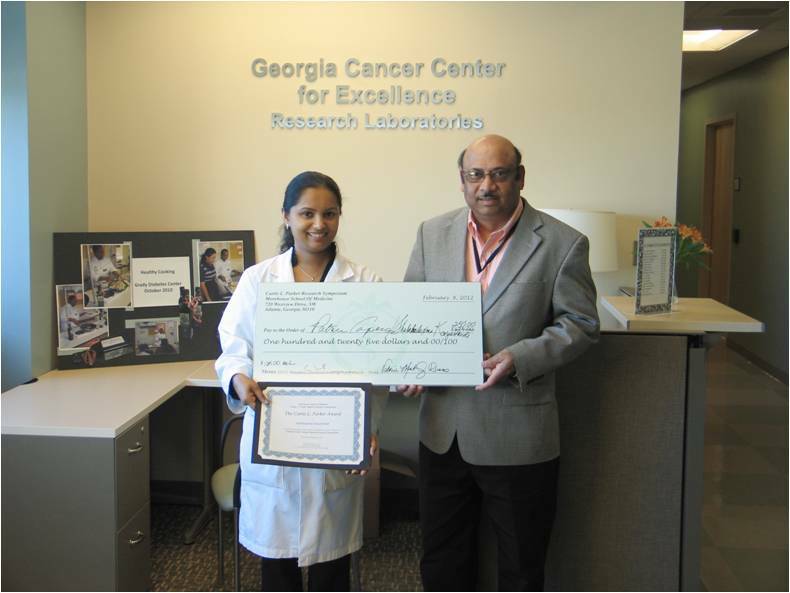 He received GCC Distinguished Cancer Scholar award from the Governor of Georgia to carryout his cancer research work.They have also shown that anti-epilepsy drug Valproic acid (VPA) targets ERG-positive Prostate cancers and identified the molecular mechanism of action of VPA on ERG function. Dr Reddy and his group have recently discovered novel POST-TRANSLATIONAL mechanism in breast cancer cells that will have global effect on the Gene Expression, Differentiation, Protein turnover, Cell Death, Cancer and other Human diseases. Dr Reddy predicts that this CBP/p300-mediated post-translational modification may be a signal for degradation/ turnover of CBP interacting proteins. Dr Reddy and Dr Rao trained several postdoctoral fellows who are at present working as Chairman, Professors or Senior scientists in the national or international laboratories/Universities. Adjunct Professor, Department of Biology, Georgia State University, Atlanta. Some of the previous winners of this honor include - Late Mother Teresa, Noble Laureate, Late B.D. Jatti, Former Vice President of India, Dr. Bishma Narain Singh, former Governor, Digmabr Kamat, CM of Goa, Cricketer Sunil Gavaskar, Veteran Actors Shammi Kapoor, Rajesh Khanna, Dev Anand, Lord Bikhu Parekh, Lord Navnit Dholakia etc. Chosen to receive the prestigious GLORY OF INDIA AWARD for his contributions in the field of Science and Medicine. TAMA Award for outstanding efforts, services and leadership in the field of Medicine. Dr Reddy is thankful to all individuals (Postdoctoral fellows, Graduate students, junior faculty and collaborators) who contributed and worked passionately to the discovery of cancer genes and their function. To identify the oncogenes (cancer causing genes) involved in human cancers and develop function based therapeutic strategies (Functionotherapeutics) that target the function of abnormal oncoproteins (cancer causing proteins) involved in human cancers. To introduce and train modern Cancer biology and novel therapeutic approaches to clinicians, faculty, postdoctoral fellows and graduate students. 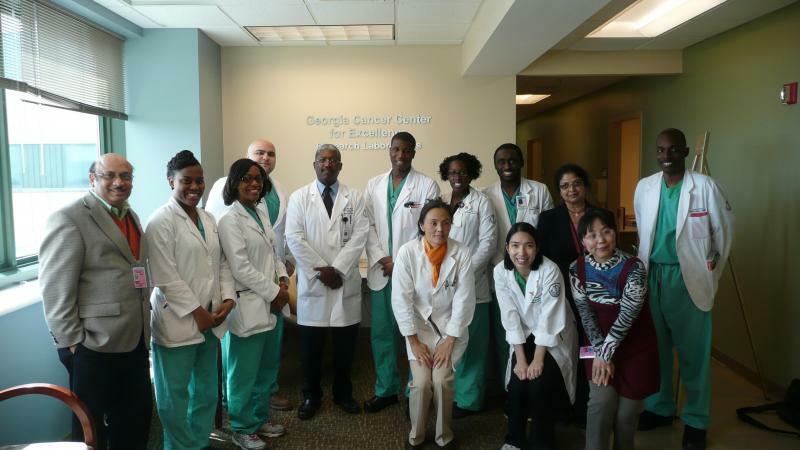 To reduce health disparities seen among minorities. Cancer Warriors giving farewell to Dr Huali and wishing well for his future endeavors.